July is National Ice Cream Month in the United States and what better way to celebrate than by making ice cream! I love ice cream and I know I'm not the only one. With the temperatures rising and our ovens and stoves out of commission for a while, why not crank up the ol' machine or freezer and make a sweet treat? The possibilities and combinations are endless! Not only are there ice creams, there are gelatos, sorbets, sherberts, bombes, custards, yogurts. . . the list could go on! This is a chance for you to show the blogging community your favorite frozen treat. Posting your favorite gelateria, homemade or cookbook recipe, or favorite treat from the local grocer's freezer are all acceptable entries. Entries posted in the last month (starting May 18, 2008) can count as well. Simply provide a link to your previous post within a new post with the Ice Cream, You Scream icon. *A link to your blog post about the dish, a short description of the dish, including a recipe or just a description, recipe, and picture, if you don't have a blog. 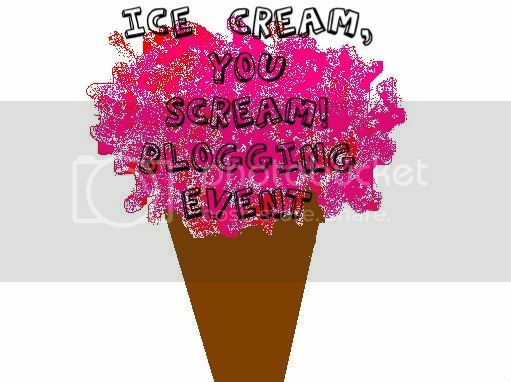 Feel free to copy and paste the Ice Cream, You Scream: Blogging Event icon in your blog post. Participation will be open until July 15, 2008, 12 midnight (EST) to prepare for a huge posting on National Ice Cream Day, July 20th! Email all entries to nikkimiller14@hotmail.com with Ice Cream, You Scream in the Subject line. I look forward to seeing all of your yummy frozen treats, soon! Make sure to post this one in the forum! I'm going to try, Love making the stuff. I will put this up on the Daring Bakers forum for you. Ooh boy! I looovvve ice cream. The question is do I just give you the entire Bellvale Creamery website (which I blog about constantly) or do one of my own? Jenn: ca't wait to see your entry! 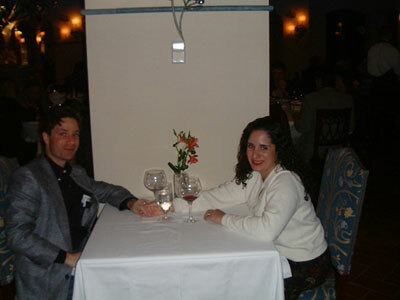 Courtney: Thanks again for posting on the forum for me. Rachel: I don't want to tell you what to do, but I'm sure if you just pick your favorite(s) and tell about them in relation to the event and/or National Ice Cream Month, that'll be fine. Look out cuisinart, mommy's putting you to work. This is a great idea for a challenge, I have not used my ice cream maker in a couple of months and I needed a little push! lol, great minds think alike? Natashya: Heck yeah! I'm glad i've inspired you to get 'im out. My freezer bowls are frosted up and ready to churn. Momma's gonna go to work! Mike: That's right, my friend. I'll participate in your event! The more the merrier. Srvalli: You don't have to have a maker or produce any ice cream to participate. You can just tell everyone about your favorite ice cream parlor. That is, if you'd like. Or you can just enjoy the round-up! Nice story you got here. I'd like to read a bit more concerning this matter. Thank you for posting that material.